I started my first trays of seeds yesterday. Slow germinating petunias, delphinium and a few others. Plus a wide variety of lettuce plants that will grow in my cool greenhouse for crunchy salads in March and April. My light system is totally laughable. 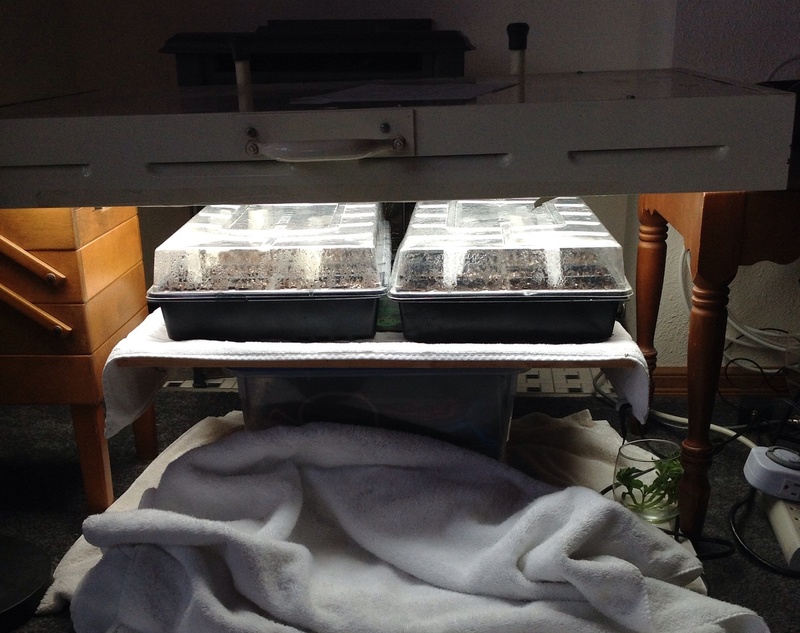 I repurposed my SAD light and propped it over the seed trays. Instead of having the lights move up and down, I vary the distance from the lights with different sized plastic boxes. It works for me. I like to think it was a creative use of things on hand. I enjoy viewing the Rusted Gardener videos and hope you will also. My goal is to use a heat mat and light to germinate the seeds then move them out to the greenhouse where it has been 50 to 60* F in recent days. 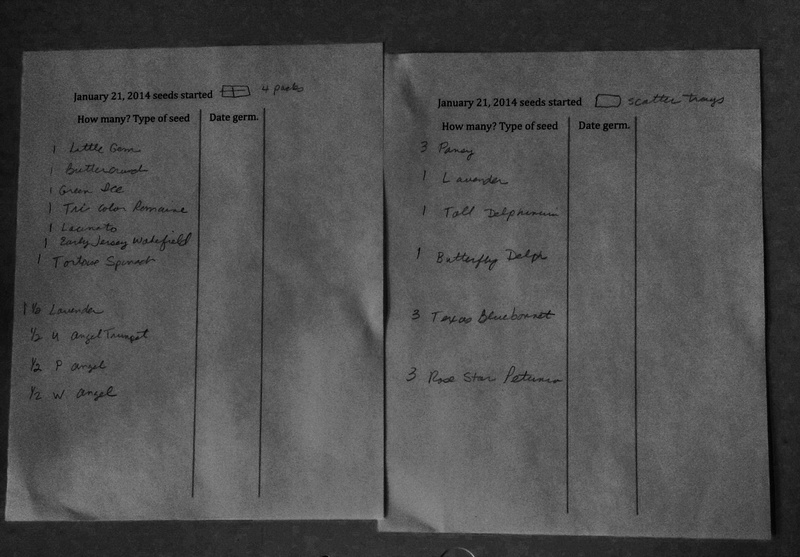 Record keeping has been a learning component for this transplanted gardener. This is my second full season in this climate and my notes from seed starting in 2013 are paying off now. What I do is not fancy or professional, just enough so I do not feel like I have to guess every year or repeat mistakes! My blog began as a handwritten journal with dates of things planted etc.. It is an excellent way to gauge the growth habits of our seedlings and their progress….. Thanks for sharing this. I started doing this many years ago and have learned about my local conditions in three states.